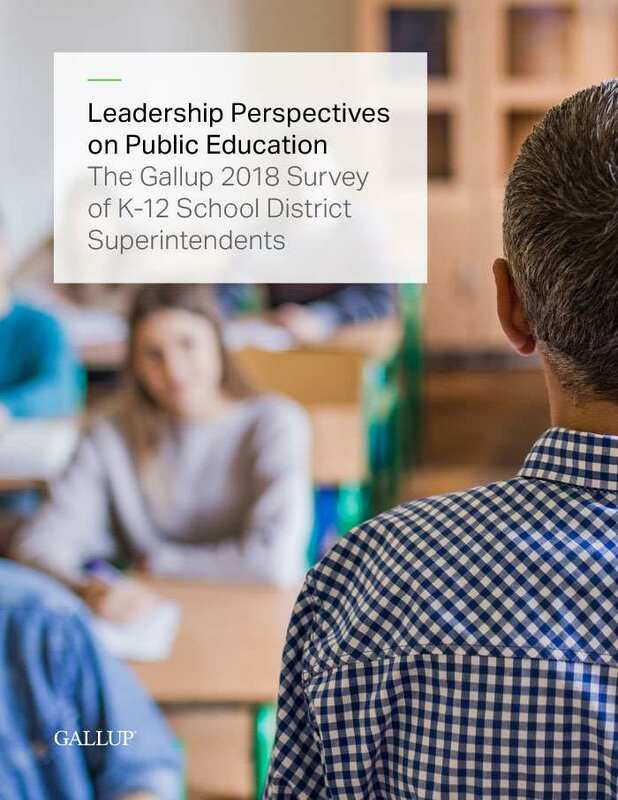 Leadership Perspectives on Education: Discover what K-12 superintendents nationwide say about the challenges they face and their hope for the future of K-12 education. While the vast majority of superintendents remain excited about the future of their school district, they are less enthusiastic about the future of K-12 education in the U.S. The biggest challenges facing their districts include recruiting and retaining talented teachers, as well as budget shortfalls. They are crafting policies that they believe will better educate students and better prepare them for the future. But if they are to achieve that, they must continue striving to reach their most important indicators of success, including high graduation rates, engaged cultures and students who are hopeful about the future. To receive an email with a link to download this report, please fill out the form below. Someone from Gallup may contact you via email or phone about your interest in this topic.